Lala has lived a dazzling life, filled with love, betrayals, acts of courage and some of the most extraordinary events of the twentieth century. There is nothing she likes better than to tell stories of her fascinating past – of her grandfather, the legendary owner of the first car in Ukraine; of her aristocratic mother; and not least of herself. Her most avid listener is her grandson, Jacek, to whom she is extremely close. As she grows older and becomes increasingly confused, her tales become more repetitive and Jacek often finds himself filling in the gaps. 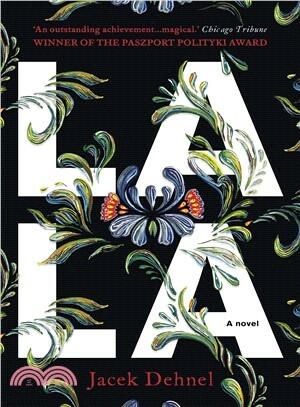 Based on the life of the author’s grandmother, intertwining detailed historical research with enthralling family accounts, Lala’s story stretches from Kiev in 1875 to modern-day Poland, spanning the First and Second World Wars, the German occupation, the revolution and the republic. This moving family saga paints a fascinating picture of life in twentieth-century Europe and is a celebration of a beautiful relationship between grandmother and grandson.